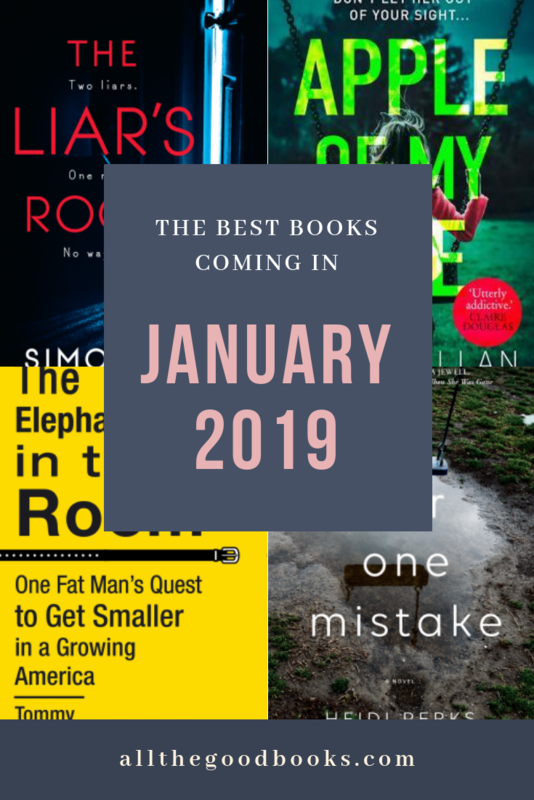 Don’t Miss These Books Coming in January! Do you like to switch up the genres you read? I thoroughly enjoy a memoir, maybe a light fun novel, a deep intense thriller, a little true crime and a couple of historical fiction books, then I start all over again. 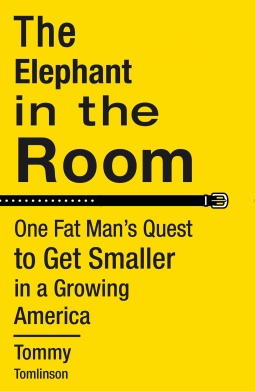 This memoir, The Elephant in the Room by Tommy Tomlinson is the next memoir on my list. I love reading people’s experiences and getting to know the lives of others. A suspenseful book compared to Big Little Lies and The Couple Next Door will definitely get my attention! 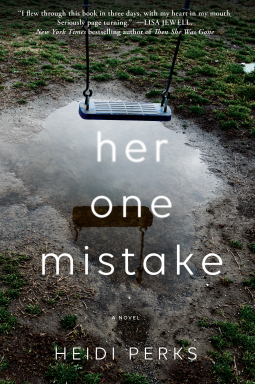 Her One Mistake by Heidi Perks is getting a lot of advance acclaim and its the four and five-star reviews from my fellow book bloggers that made me take a look at this novel which promises to be full of twists and turns. This novel is receiving lots and lots of great reviews so my expectations are high. Other reviewers are saying Her One Mistake is chilling…gripping…riveting. Make this one of the top picks for January! Due out on January 8 2019. 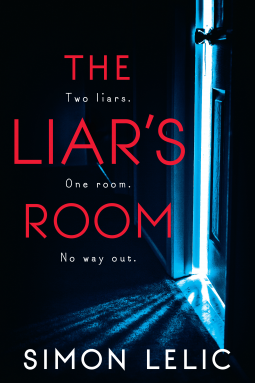 I loved Simon Lelic’s novel, The House, so its with immense anticipation that I am starting The Liar’s Room. Have you noticed how many books contain Liar in the title lately? It’s a trend! This book promises to deliver a ride of creepy thrills and nerve-wracking intensity! Susanna Fenton has a secret. Fourteen years ago she left her identity behind, reinventing herself as a counselor and starting a new life. It was the only way to keep her daughter safe. And Susanna realizes she was wrong. I always like books about people who reinvent themselves, those who have a secret to keep hidden, something to keep the reader guessing. If you love thrillers like I do, you will want to put this on your Goodreads list! 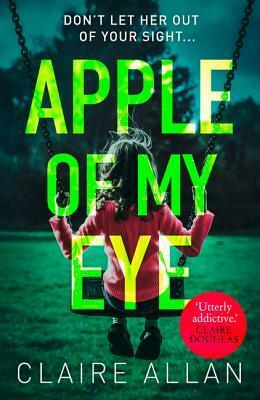 Apple of My Eye by Claire Allan needs to be at the top of your To-Read list. This utterly addicting novel will keep you up late at night, unraveling the mystery. Eliana Hughes is seven months pregnant and having a hard time with her pregnancy. She works as a hospice nurse and loves her job but is conflicted about becoming a mother. Weird notes begin to appear, accusing her husband of cheating on her. He is spending a lot of time in London lately… are her hormones making her emotional or is there really something to worry about? Who is sending the notes? Alternating chapters is Louisa, a disturbed young woman who is watching and planning, waiting to steal a baby. Is it Louisa who is sending the notes to Eli? And exactly who is this unstable woman? As Eli struggles with the possibility her husband is cheating on her, her beloved mother sweeps in to take care of her and make sure Eli is all right. Under her mother’s care, Eli can relax and get the rest she needs while her mother takes care of everything else. If you haven’t read Claire Allan’s book, Her Name Was Rose, get it immediately! That was a fantastic novel too. If you want something to read now, my novel, The Blondes of Bel Air is available! Only $2.99 on Kindle. Looking for a cookbook to suit food allergies, this Gluten-Free, No Nuts, No Soy Low Oxalate cookbook is available now. And yes, I wrote it! Super easy recipes that can be prepared within forty minutes and uses simple ingredients, this cookbook was written with the goal of helping others who struggle with food restrictions.